Asus unveiled a stunning range of products at Computex 2015-Zensation, a range of ZenPad tablets, a ZenPhone Selfie, with two 13 MP cameras, a new range of premium AIO PCs, ZenWatch 2 in partnering with Google and a 32-inch 4K/UHD monitor. Chairman Jonney Shih took to the stage at Computex 2015 in Taipei, Taiwan yesterday, with the theme Zensation, products designed to bring harmony and simplicity to people’s personal and professional lives. Inspired by the power and beauty of nature, the Zensation theme showcases the ASUS design philosophy of incorporating diverse elements to produce balanced creations that provide incredible experiences and accessible beauty to users. Wishing to get back in the race after their endeavour in tablets with FonePad, ZenPad combines refined styling with incredible entertainment and productivity capabilities, which is what many tablet users seek these days. A ZenPad that suits any kind of a user, towards the goal, the ZenPad is available in 3 different sizes, 7″, 8″ (with an optional stylus, the Z Stylus), and 10.1″ (with an optional keyboard) with Wi-Fi, LTE/3G connectivity and phone functionality. The ZenPad will feature a HD IPS display along with Asus’s VisualMaster suite of ASUS Tru2Life and TruVivid that bring advanced image-processing found normally in high-end TVs to your palm providing comprehensive visual optimization. 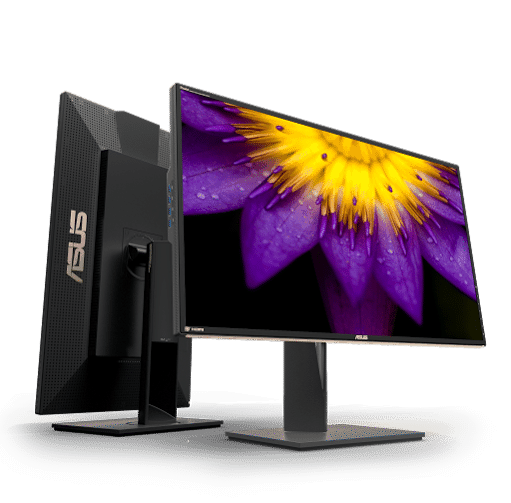 ASUS Tru2Life analyzes each pixel in an image before it is displayed and performs an intelligent contrast and sharpness adjustments to boost dynamic range, revealing even the smallest details to ensure an incredibly realistic viewing experience. Undoubtedly, this two-layer model is being followed by many OEMs today, so it doesn’t make sense to not include this in phones and tablets of today; and is likely to raise quite a few eyebrows if otherwise. The ZenPad range also encompasses DTS Premium Sound™ providing high-fidelity sound from all types of multimedia content, letting users to playback movies and music with up to 5.1 channels of DTS surround sound to a connected audio system. ZenPad also includes DTS Sound Studio™ to transform stereo audio into virtual surround-sound that users can enjoy either through ZenPad’s speakers or using headphones for immersive entertainment experiences at home or on the go. This is not a surprising decision given every other OEM has its own ‘Beats’ now. Zen Clutch is a fashion-forward accessory meant to provide a sophisticated carrying and protection solution for ZenPad 8.0. Zen Case is another stylish accessory that lets users outfit ZenPad 8.0 in their choice of five sleek or vivid colors and features a fine leather texture. With Audio Cover, users can enjoy immersive 5.1-channel surround sound, the first ever we’ve seen in tablets. Power Case extends ZenPad 8.0’s battery life, giving the phone more juice to guzzle, and users around 15 hours of usage. Of the two versions of the 8″ tab are available, the ZenPad 8.0 (Z380), offers an interchangeable cover design, that lets users easily customize their tablet with functional back covers. ZenPad 8.0 (Z380) is available with LTE/Wi-Fi connectivity and phone functionality (Z380KL) or as a Wi-Fi-only model (Z380C). The ZenPad S 8.0 (Z580CA) packs quite a few surprises. Along with exquisite desgin, 6.6mm thin frame, weighing only 298g, it is equipped with a 2K QXGA (1536x 2048) IPS display with a wide 178-degree viewing angle. ASUS Tru2Life Plus, the improved version of Tru2Life has improved video with reduced blur in fast action scenes, resulting in for smooth, detailed motion. It is powered by a 64-bit Intel® Atom™ Z3580 processor (2.33 GHz, quad-core) and is the first among 8″ tablets to pack a whopping 4 gB of RAM for delivering performance along with quite heavy multi-tasking capabilities. The Z Stylus especially designed for the ZenPad S 8.0 with a 1.2mm writing tip and 1024 levels of pressure sensitivity provides pinpoint accuracy and a natural writing and drawing experience that’s as easy as using a pen. 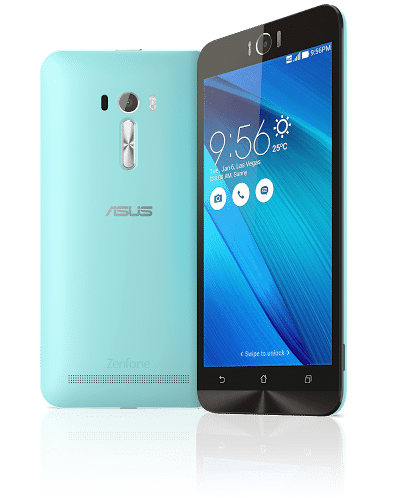 Asus enters the Selfie Phone competition (along with iBall, HTC and Micromax) with the ZenFone Selfie, a 5.5″ phone with a full 1080p display and a brilliant 178 degree viewing angle, the the Qualcomm® Snapdragon™ 615 octa-core 64-bit processor, and Tough Corning® Gorilla® Glass 4. Coming to the cameras, the ZenFone Selfie has front and rear 13MP PixelMaster cameras with dual-color, dual LED Real Tone flash, ZenFone Selfie captures beautiful, natural-looking selfies in gloriously high resolution. The rear camera features a large f/2.0 aperture lens and laser auto-focus technology to ensure near-instant focusing for clear, sharp pictures — even in low-light conditions where traditional cameras struggle. It also has some features ZenUI Beautification mode for live digital cosmetics, and a Selfie Panorama mode with a 140 degree viewing angle. The ZenFone selfie looks to balance performance with superior power-efficiency, and we’re hoping it lives up the hype. A premium range of all-in-one PCs, with high-enough-end specs for the normal home user. From the latest generation of quad-core Intel Core up to i7 processors, up to 32GB of the lightning-fast DDR4 memory and up to PCIe® Gen 3 x 4 SSD storage, Zen AiO has power to spare for instant responsiveness and ultra-smooth and immersive entertainment. NVIDIA® GeForce® GTX™ 960M gaming-grade graphics with up to 4GB of video memory ensure users can enjoy stutter-free full HD movies and videos and play the latest games at full resolution. As the world’s first all-in-one PC to use the next-generation USB 3.1 Gen 2, Zen AiO delivers blindingly-fast data transfers of up to 10Gbit/s —twice as fast as USB 3.0, and over twenty times faster than USB 2.0. It also uses the latest USB 3.1 Type-C connector for improved ease of use — the connector is reversible, so it can’t be inserted the wrong way round. It also has an amazingly-accurate 3D camera that uses Intel RealSense™. Taking care of home entertainment, are a total of 6 speakers to deliver rich and clear full-range sound. Each 8-watt stereo channel uses three powerful speakers located at either side of Zen AiO, giving fully-realistic stereo separation and a total of 16 watts of pure, undistorted sound for an amazingly-lifelike entertainment experience. Zen AiO gives users an awesome audio experience, whether they’re watching the latest blockbuster movie, enjoying games or relaxing with music. A 32-inch 4K/UHD (ultra-high-definition) monitor for professionals that delivers breathtaking levels of detail with a wide 100% Adobe RGB color gamut. Featuring a 3840 x 2160 resolution on a 16:9 aspect ratio IPS display with a wide 178-degree viewing angle and a pixel density of 138 PPI providing over 8 million pixels, four times the pixel density of standard Full HD displays for astonishingly-detailed visuals. Asus is partnering with Google, to bring to you the Asus ZenWatch, another smartwatch in the emerging market of smartwatches. Running on Android Wear supported by a Qualcomm® processor, the watch sports a AMOLED 2.5D display (semi-curved) with Corning® Gorilla®Glass 3. It has IP67 certification for protection from normal day-to-day water exposure and supports charging via a magnet charger cable. 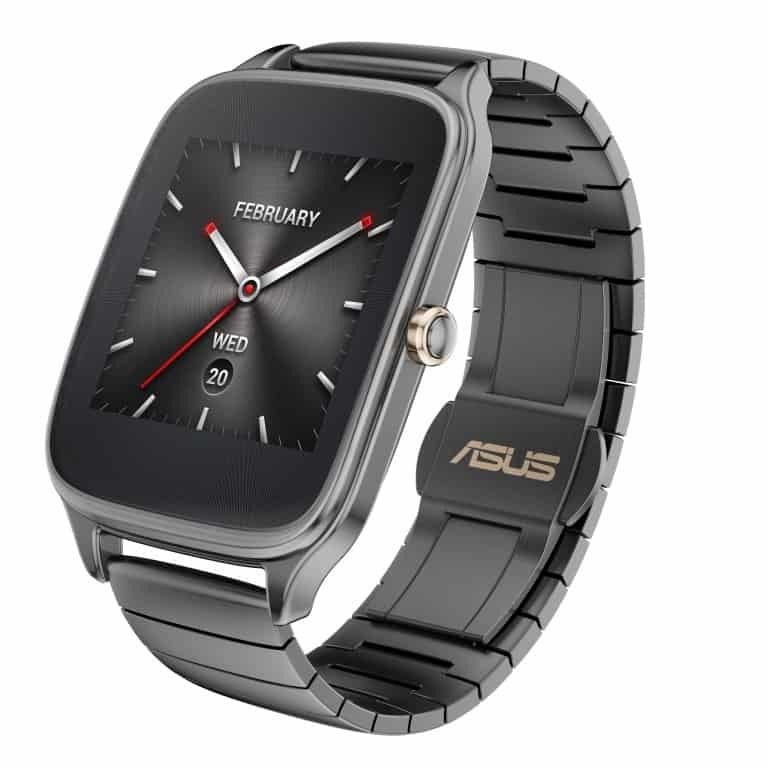 We’ve covered it in detail over here: Asus announced ZenWatch 2 in partnership with Google. 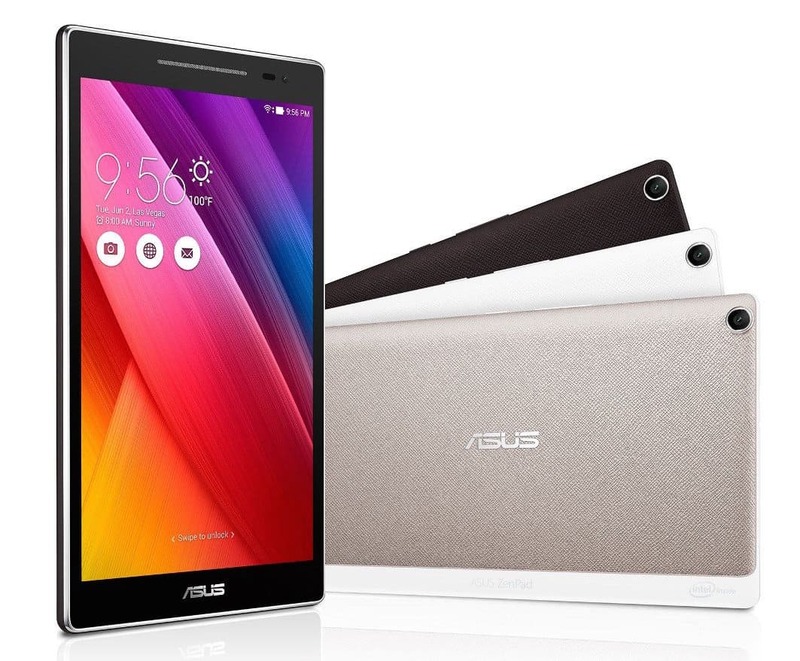 Availability and pricing details are expected to be provided by local ASUS representatives shortly. 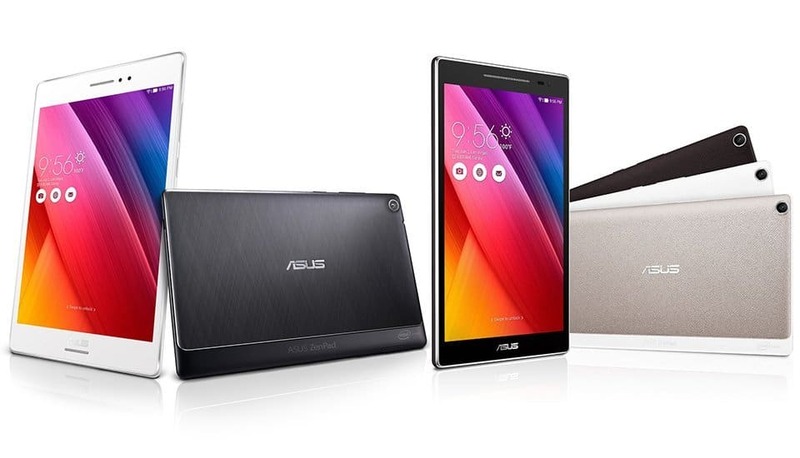 After their recent success with the ZenFone series, Asus look to continue their streak with these new products. We benchmarked the Asus ZenFone 2 recently, and were quite happy with it. Will these new devices too deliver the same (or perhaps better)?